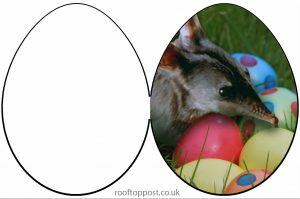 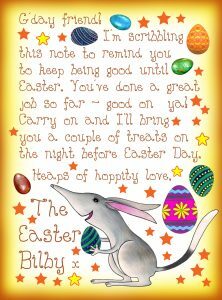 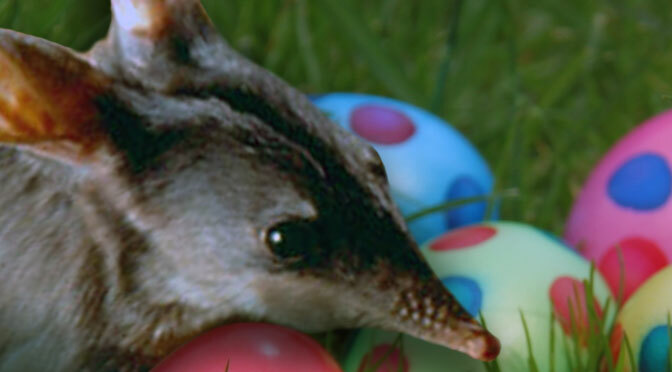 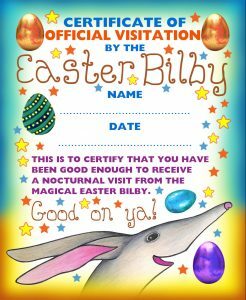 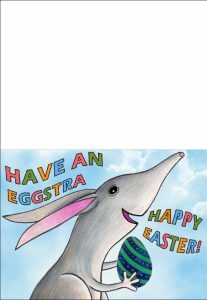 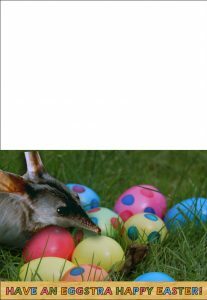 Bilby Greetings Card: Have an Eggstra Happy Easter! 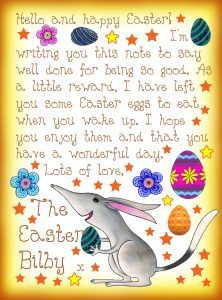 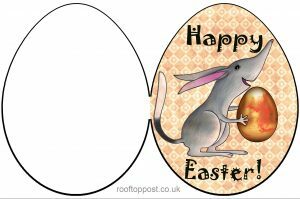 Easter Bilby Printable Bambino Pack – This is a downloadable pack of printables for children including colouring in pages. 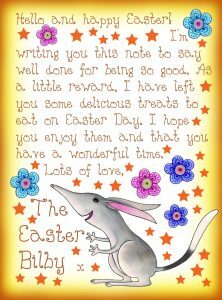 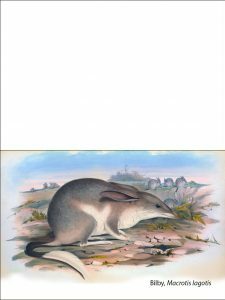 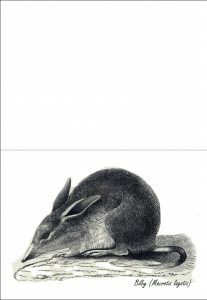 Bilby Colouring Pages – Several colouring in sheets of Bilbies, all free to print out for your child. 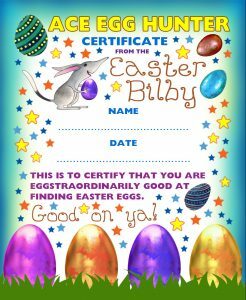 Bilby Printable Maze – Just one printable game-sheet in the form of a maze. 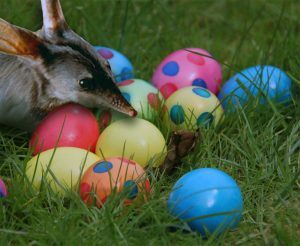 Your child has to find which way leads to the Easter Bilby’s lost eggs.